With great pleasure, we announce the April event which promises to be fun, interactive and above all very tasty one! 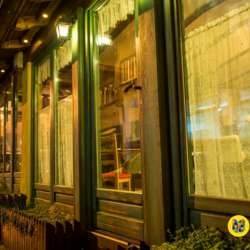 We shall gather in the tavern 'Zara iz duvara" where along getting to know each other better we shall experience exquisite Bosnian cuisine. Welcome bites will be reserved for all our members and should you crave for more menu's will be at your disposal all the time. Please be notified this comes as "limited place" venue so in case you have registered but afterward realize you will not be able to attend, we kindly ask you to then unregister yourself. This is very important for us as we rely on proper numbers for the planning. The guest list will close on the event day at 17:00.